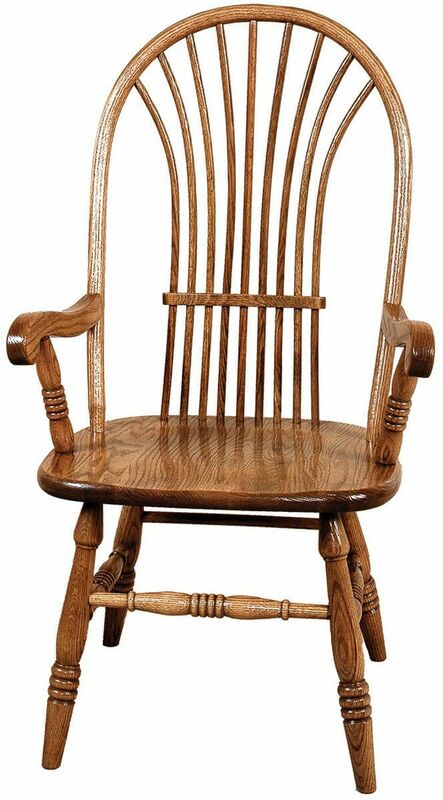 Our solid wood Windmill High Sheafback Dining Chair is a charming Early American throwback that is perfect for kitchen, dining room, or sitting area. 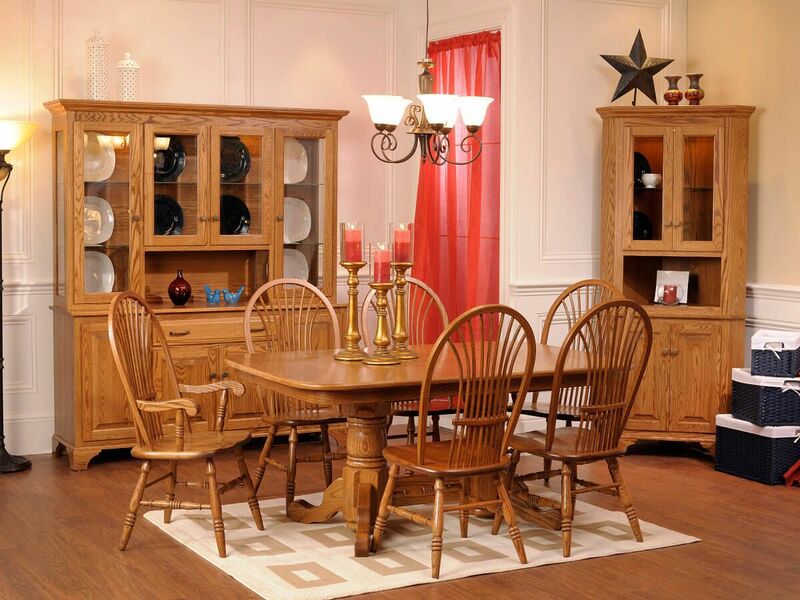 Elegance should be simple and your Windmill High Sheafback Dining Chairs fit the bill. 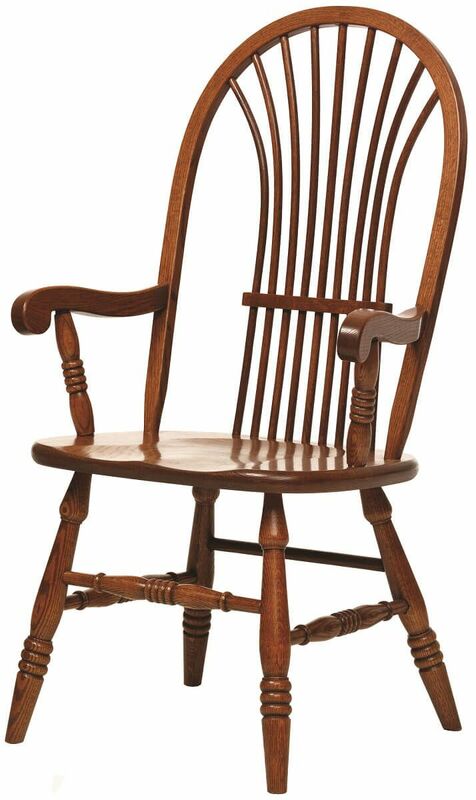 Handcrafted by expert Amish furniture makers, these sturdy kitchen chairs are built to order and built to last. Perfect for your casual country kitchen or painted black for your Windsor inspired dining room, every attachment is reinforced. 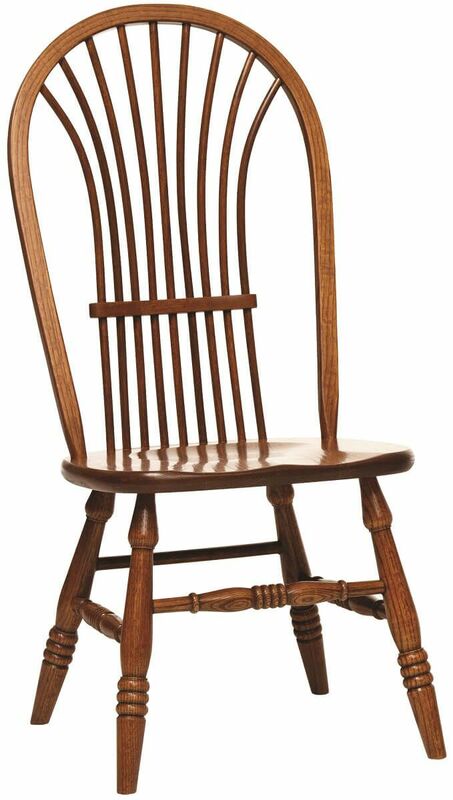 Make your choices from our menu and Countryside will get started on your Windmill High Sheafback Dining Chairs today. These will be coated with a catalyzed conversion varnish to resist water, wear, and yellowing.